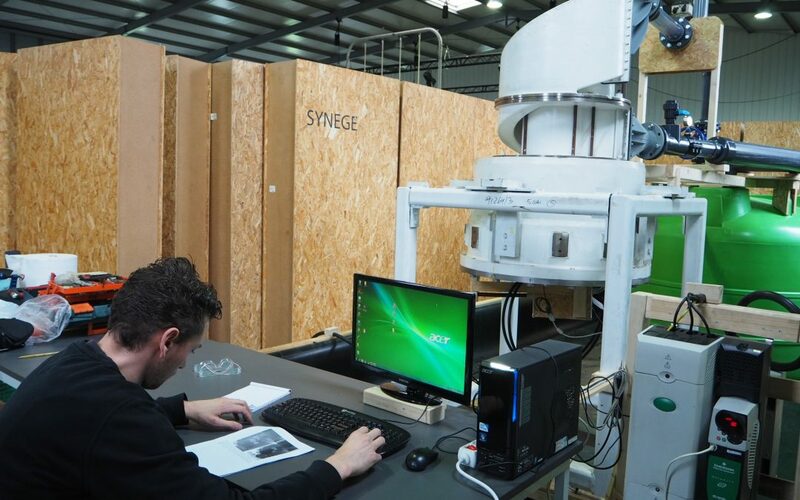 Teamwork tested the specially developed Symphony turbine at the beginning of February in Sines, Portugal. This direct-drive generator will form the heart of the Symphony Wave Power system. It will convert the energy through the up and down movements into electricity. We are happy with this step forward in the Symphony process.